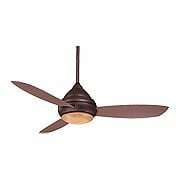 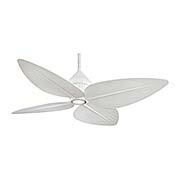 Need a ceiling fan for your porch, gazebo or patio? 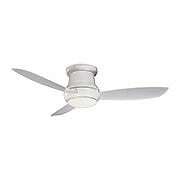 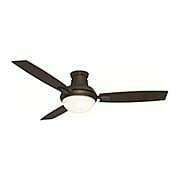 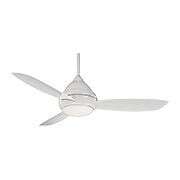 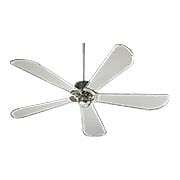 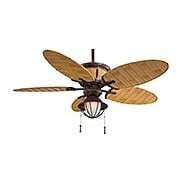 Our outdoor ceiling fans are all UL rated for damp or wet locations and can be installed indoors or out. 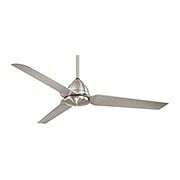 Available in a wide range of styles, blade configurations and lighting packages. 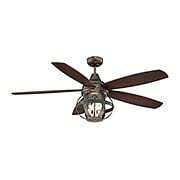 Rustic and medieval in style, the Alsace Collection pays homage to this historic region of France. 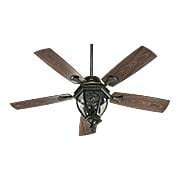 Riveted-iron details and a faux finish give the impression of reclaimed wood, adding old-world charm to your decor. 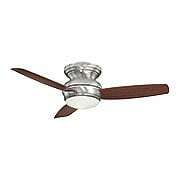 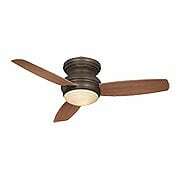 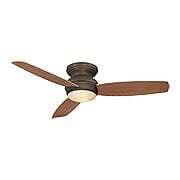 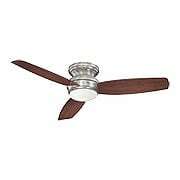 With its airy design and chestnut blades, this fan is suited for Mediterranean, Tudor, and European-style homes. 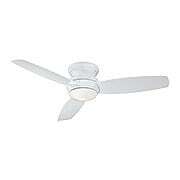 It includes a hand-held remote with three fan speed settings and light control. 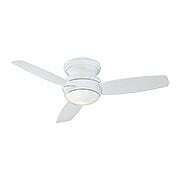 UL listed for damp locations. 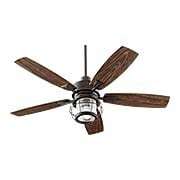 The simple, sleek design of the Java features sweeping vanes, a minimal motor housing, and your choice of a brushed nickel, kocoa, or matte-white finish. 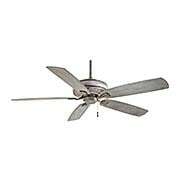 With its considerable blade span and UL wet rating, it's ideal for larger porches, gazebos, or other outdoor areas — even those exposed to rain. 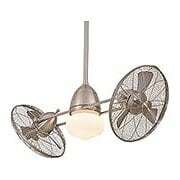 Comes complete with hand-held remote control. 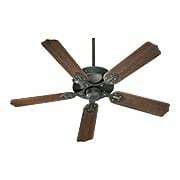 Reminiscent of an outdoor lantern, the Galveston 52-Inch Patio Ceiling Fan is a welcome addition to both traditional and contemporary settings. 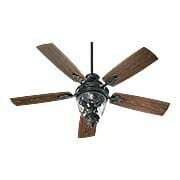 It features an industrial-style cage, clear jar glass, and your choice of four popular finish options. With a rust-resistant powder coating and UL listing for wet locations (exterior or interior), it is ideal for porches, gazebos, or other outdoor areas - even one exposed to rain!